Collaboration will take center stage next week when Ariba, an SAP company, holds its Ariba LIVE conference in Washington, DC. In an effort to fuel greater collaboration between companies through new capabilities and network-derived intelligence, Ariba will announce an enhanced set of tools, as well as a joint offering with Dell Boomi. Ariba Spot Buy. With the integration of Ariba Procure-to-Pay and Ariba Discovery, buyers can quickly discover and qualify new sources of supply for one-off, time-sensitive, or hard-to-find purchases. Ariba Recommendations. Through new services that push network-derived intelligence and community-generated content directly into the context of specific business processes and use cases, companies can make more informed decisions at the point of transaction or activity. “Suppliers You May Like,” for example, helps guide buyers to qualified suppliers based on a host of inputs, including buyer requirements, supplier capabilities and performance ratings, and how often other buyers on the network have awarded business to them. Nearly one million selling organizations across more than 20,000 product categories are connected to the Ariba Network. And they have access to the more than 13 million leads worth over $5 billion that are posted each year by more than half of the Global 2000 who are connected to the network as well. Organizations can reduce the time it takes to find the right suppliers from weeks to days or even hours. New features added to Ariba Discovery allow selling organizations to get the right messages to the right audience and convert these leads into sales. Profile Pitch. Sellers can create highly targeted profiles and messaging based on industry, commodity, territory and other factors to promote themselves to active buyers. Badges and Social Sharing. Selling organizations can further raise their visibility by adding Ariba badges to their company websites and/or email signatures, defining vanity URLs for their company profiles and sharing their public URLs and postings on social sites such as Facebook, Twitter, and LinkedIn. 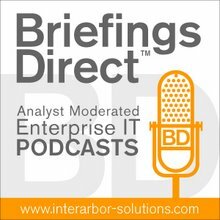 Ariba and Dell Boomi will announce that they are teaming to deliver pre-packaged integration as a service offerings to help selling organizations drive new levels of efficiency and effectiveness across their operations. Designed to simplify and speed integration to the Ariba Network, the Ariba Integration Connector, powered by Dell Boomi Integration Packs, enables companies to collaborate more efficiently and drive game-changing improvements in productivity and performance. The first connector integrates with Intuit QuickBooks. Additional connectors to enable sellers who own Microsoft Dynamics AX, Netsuite and Sage Peachtree solutions to quickly and easily integrate with the Ariba Network are planned to be released later this year. From the beginning, the Ariba Network has been built to be an open platform to connect all companies. The Ariba Integration Connector removes the barriers to system-to-network integration by eliminating complexity. An out-of-the-box solution delivered as a service, the connector provides a fast, easy and affordable way for companies to connect to the Ariba Network -- regardless of the back-end systems they use. The connector currently supports integration with Intuit QuickBooks Desktop 2009-2013, Premier and Enterprise for US, UK, and CA Enterprise and Enterprise Plus. The connector is available and in use today. To learn more about Ariba’s Connection solutions and the benefits they can deliver to your organization, visit http://www.ariba.com/services/connection-solutions.